Any married person has enough information about his/her spouse to make you think they were crazy or evil. The New Zealand government budget for the coming year was released recently. Included was some tax restructuring which was anticipated and I have posted my thoughts here. Sales tax was increased and income tax was decreased. All incomes get some tax break. As typical, comments were made by some groups about those on higher incomes getting the better deal. Comments like this may reflect envy, or may be by those who perceive they struggle on their income; nevertheless it still reflects underlying innumeracy (or perhaps it is polemical for those with extreme Marxist views). Here is the personal income tax structure currently and as it will become in October. It can be seen that both systems have a progressive tax structure. That is those on higher incomes not only pay more tax by virtue of the fact that tax is a percentage of income, they pay even more because they also pay a higher rate. Because tax is a rate, tax cuts, whether they be an absolute ratio (say 1% for each bracket) or a proportionate ratio (say 5% reduction on the rate), will always have a larger effect on higher incomes. Below is various incomes with the effect of the various taxes. Accident levy is excluded. Looking at this table it is clear that even if the $0–14000 tax rate was abolished, i.e. set to 0%, those on higher incomes would still gain an advantage. This is because their tax break is greater than what the lower incomes even pay in tax. The comment "tax cuts for the rich" is nonsensical as any tax cut is going to affect those on higher incomes at least as much as those on lower incomes. What is worth noting however is how much those on higher incomes pay. A tax saving of $4000 may seem a lot to some people, but this is in the context of someone who is already paying $30000. It is also worth noting that a tax break is not a subsidy, it is allowing the taxpayer to keep more of his earned income. 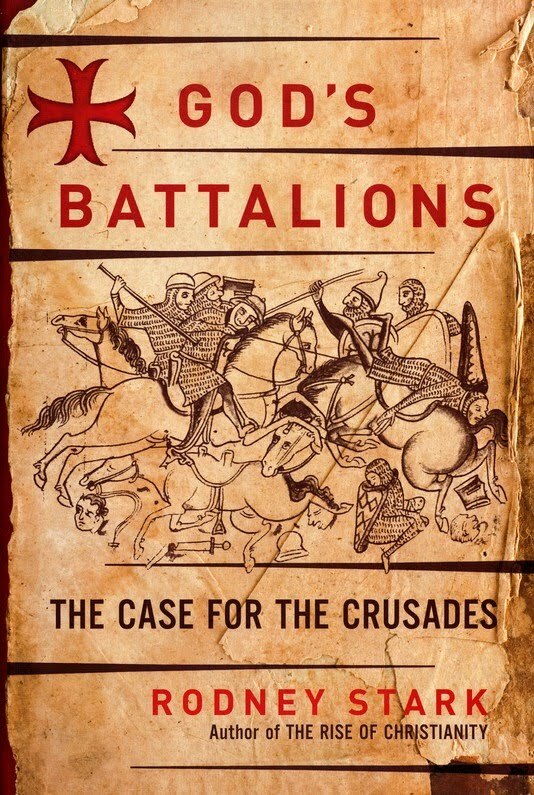 Timothy Dalrymple recently interviewed Rodney Stark on his book God's Battalions: The Case for the Crusades which was published last year. Dalrymple: Why reassess the Crusades? Stark: Because the Crusades are often understood within a larger framework that says that Islam is the gentle faith and Christianity the violent one. ...The notion, for example, that the Crusaders went to get loot and land and riches is made absurd by the survival of hundreds and hundreds of mortgages that have been found in the archives at various monasteries and convents. These people mortgaged away everything they owned in order to get the money to march East. They went at enormous personal cost. Most of them died. They knew there wasn't anything out there in the sand that was going to reward them for going. The things I write about in this book are no secret among historians of the Crusades. I'm simply bringing their work to a popular audience. Dalrymple: The Crusades did not arise ex nihilo, but were part of a broader historical and geographical narrative. Can you tell us about that? Stark: The fact is that Islam had been attacking the west for more than 400 years before the Crusades began. Shortly after the death of Muhammad, the armies started marching. They took the Middle East, which was a Christian area beforehand. They took the Holy Land. They took all of North Africa, which had been mostly Christian. They went across the straits and took most of Spain. They took southern Italy. They took Sicily. A Muslim army marched up within 150 miles of Paris before they were turned around and run back out. The point is that an aggressive, invasive warfare had been going on between Europeans and Islam for hundreds of years. Shortly before the First Crusade, the Normans drove the Muslims out of southern Italy and Sicily. But the Muslims were still in Spain. As a matter of fact, about thirty years before the First Crusade, the pope tried to get a Crusade going to Spain, which was about half-reclaimed at the time. And that presents an interesting contrast. Spain was close; you didn't have to march 2500 miles; and there were riches to be had in Spain. Yet nobody went. The reason nobody went, and then thirty years later they all went, if you will, is because nobody believed that Jesus had walked around in Spain. Interesting interview which goes on to discuss some other issues. I do not know a lot about the Crusades, though the justification for the different Crusades likely had variable validity. I was long aware that North Africa had been Christian prior to Islam, but apparently significant parts of the Middle East also. The book looks like it may be an interesting read. Jesus never said, "Blessed are the peacekeepers," rather, "Blessed are the peacemakers." A peacekeeper is one who will compromise truth in order to maintain a false sense of peace.... A peacemaker, on the other hand, is one who confronts, if need be to have true peace. Public or private environmental conservation? I mentioned that government involvement (or oversight) in conservation can potentially be a hindrance. Roger Beattie re-established weka in an area they had previously disappeared from, but he was struggling to farm them for food because of their endangered status. 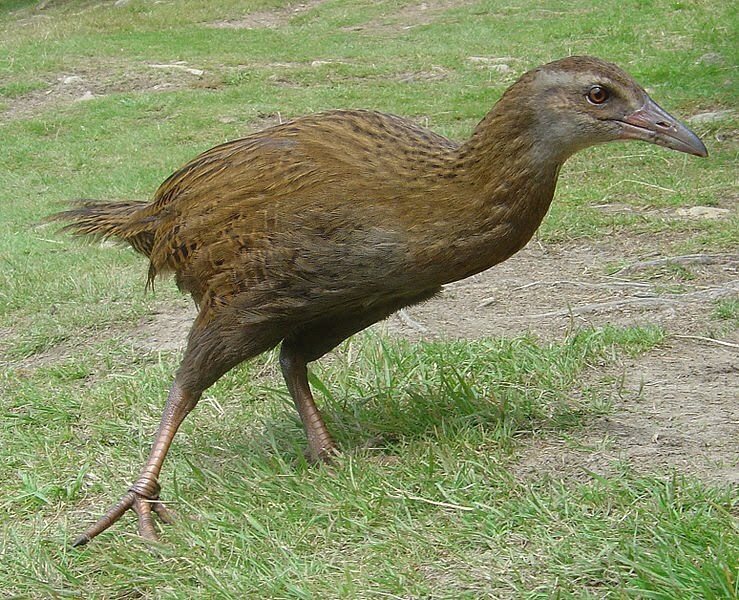 Beattie has brought back weka from the Chatham Islands since 1994, with Department of Conservation (DOC) consent, and has settled the birds in a predator-proof enclosure. He now plans to tackle the rules that protect buff weka on the mainland. "It's a process and could take five years, but I am going to enjoy the challenge of speeding that up," he said. DOC believes Beattie's proposal raises questions, and the department may need legal advice. Buff weka disappeared from the South Island in the 1930s. However, a population was established on the Chatham Islands. ...Beattie is the country's biggest individual wild paua-quota holder and a paua-pearl industry advocate. He also harvests sea kelp from Akaroa Harbour and wants to commercialise the pest seaweed undaria. Beattie believes conservation and business go hand-in-hand. He said if there was money to be made from an endangered species, it would never die out. Beattie said DOC's control of bird species created a protracted permit process that strangled entrepreneurial enthusiasm. I think Beattie's comments about conservation and business are on the mark. The qualifier being that commercial interests need to produce their product, not find it, sell it, and move on. Breeding endangered plants for ornaments or construction; or endangered animals for pets, pelts, or palate, is probably the quickest way to remove them from endangered status. Australia could work on this by working toward not only stopping the desertification of chunks of its countryside, but to actually reclaim that land. The US was able to build all sorts of canals and other assorted systems to traverse the eastern half of our country in the 19th century. With our level of technology today, there is no reason why Australia couldn't commit 0.5%-1% of GDP to a federal program to steadily transform Australia's outback over the course of several generations. I agree with the concept. Though it is worth mentioning that Australia has a lot of desert, much more than the United States. Australia is already doing several things to alter the situation. Several cities desalinate sea water for irrigation because of the water shortages. There has been proposals to pump waste water underground in South Australia rather than let it escape to the ocean. I think the bush could be thinned back with a further goal of extending their area, this would decrease the fire risks dramatically, perhaps increase the water table with less trees per area removing water. I am not certain federal funds are necessary however. I was looking for an article (which I can't find) that talked about Australian farmers working the land and altering the microclimate making the land more productive and suitable for farming. While infrastructure may possibly be a legitimate role for government, private ownership of land when sustainability is sort, can be effective. Ecologist Joe Haval worked for the Australian government advising on water catchment, planning nature reserves and forests, mapped ecological data and was involved in overseas reforestation. He also advised private companies on optimal tree planting. 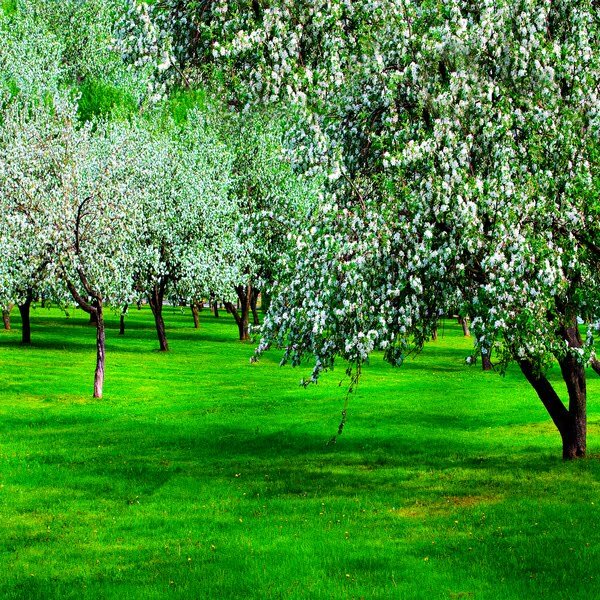 A good example of private development of land is Vermont which had been stripped barren by 1850 yet a hundred years later was a garden paradise. By 1850, in less than 100 years, Vermont had become an ecological wasteland. Then something almost miraculous happened. 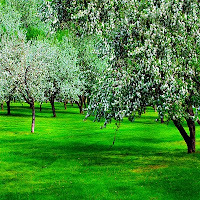 Over the next 100 years, from 1850 to 1950, Vermont was transformed from an ecological basket case to a special place with a picturesque pastoral landscape known the world over. Private work in ecology may even be preferable as government involvement can be a hindrance. Children stealing from the future? A recent article in the Sydney Morning Herald mentioned a suggestion by the Anglican Church in Australia for people to have less children. As the article is brief I will quote it in full. The Anglican Church wants Australians to have fewer children and has urged the federal government to scrap the baby bonus and cut immigration levels. The General Synod of the Anglican Church has issued a warning that current rates of population growth are unsustainable and potentially out of step with church doctrine - including the eighth commandment "thou shall not steal", Fairfax newspapers say. In a significant intervention, the Anglican Public Affairs Commission has also warned concerned Christians that remaining silent "is little different from supporting further overpopulation and ecological degradation". "Out of care for the whole Creation, particularly the poorest of humanity and the life forms who cannot speak for themselves, it is not responsible to stand by and remain silent," a discussion paper by the commission warns. "Unless we take account of the needs of future life on Earth, there is a case that we break the eighth commandment - 'Thou shall not steal'." The discussion paper, prepared in March, claims that federal government financial incentives encouraging childbirth should be scrapped and replaced with improved support for parents, such as leave. Leaving aside the question of the government creating incentives or disincentives to have children, this statement suggests a lack of biblical thinking on behalf of the General Synod. Of course this is not necessarily reflective of all Australian Anglicans. Representatives are more than capable of giving opinions that are not representative. It may be reasonable to ascribe the above statements to a few seated on the Synod. The eighth commandment as mentioned is, "You shall not steal" (Exodus 20). Theft relates to property, and that property owned by another. Theft does not apply to any future potential, real or imagined. Theft also reflects a disregard for another, an attempt to have what is owned by another because of one's own selfish desires. Having children is not stealing anything from anyone directly. And it generally is not selfish. It may be in one's self-interest, though it frequently requires selflessness. Further, God commands that humans populate the earth, he commanded both Adam and Eve at the beginning of the world, and Noah when the human population was reduced to 8 because of the deluge. Of interest is that associated with the command to fill the earth is the command to subdue the earth. We are to manage the earth to maximise its potential. This suggests that it is not population that causes ecological degradation but incorrect or absent stewardship. People that manage the earth well can sustain very large populations. Garden's and farms are far more productive and can sustain higher populations of flora and fauna than jungles and forests. There are many examples of arid land becoming productive through the ingenuity and hard toil of those who work it. And there are examples of few people causing destruction through abuse. Degradation is not a population problem, though improvement can be limited by not enough people. Further, children are frequently identified in Scripture as a blessing. Jesus himself had much time for children, rebuked those who saw them as a nuisance, and had strong warnings for those who would lead them into sin. Children are a good, not an evil. Sometimes you have to ask yourself: do atheists actually listen to what they're saying? Belief systems have presuppositions, and facts are then interpreted in light of those presuppositions. Of course facts can challenge such presuppositions, but frequently auxiliary hypotheses are added, which are then disregarded or changed so that the underlying theory stays intact. This is a reasonable approach, and everyone does it to a degree, but if the presuppositions are fundamentally incorrect then the theory will have significant error, and this tendency (to focus on modifying auxiliary hypotheses) means the wrong foundation may never be changed. Thus claims must be distilled, with facts being accepted and theory being questioned. The difficulty being that the 2 are frequently entwined, and rejection of the theory is perceived as rejection of the facts. I hold physics and chemistry in high regard because their foundations are solidly Christian. I subscribe to Christian theologies but reject Eastern theologies/ philosophies because of their rejection of objective reason and objective truth which I see as foundational to Christian philosophy. I reject some economic theory but accept those that are consistent with Christian teaching. I am not a big fan of psychology and treat it with a significant caution. It is not that one cannot or should not study human nature, that seems to be a legitimate and accessible field. Rather I am suspicious of it because its foundations are not biblically derived, and probably anti-biblical. Lest one gain the impression that I do not think about my positions let me state that I think more about the positions that I hold than I do not. I spend significantly more time thinking about the intricacies of minor Christian theological doctrines than I do about major Eastern religious doctrines. It is doing this that helps me better identify the fact theory divide. I am fully at liberty to take my information from people that do not hold orthodox belief, but because they are not of Christian persuasion, I am aware that they may misunderstand what they know or discover, or how they reason about such knowledge. Not that Christians are immune to such, but many hopefully start with correct presuppositions, that is truthful axioms, underlying beliefs that correspond to reality. This is a good reason to stay grounded in the Bible. In a pluralistic society many ideas compete for our allegiance. We need to be cautious about 2 things, rejecting truth because it comes from a non-Christian source, and accepting falsehood because it seems to correspond to experience. It may be that we accept truthful facts that are married to wrong philosophy and the 2 are packaged together. We take on the fact which appears (and is) true, but inappropriately accept false philosophy. Or perhaps recognise the false philosophy and rightly reject it but inappropriately discard the fact attached. Have the Chinese found Noah's Ark? I was asked about my thoughts on the recent claim that Noah's Ark had been found. I have looked at a few stories over the last couple of days. Short answer: Insufficient details. Long answer: The Chinese team from Hong Kong have details and photos on their website Noah's Ark Ministries International (NAMI). ABC News has a story on the event, and WorldNetDaily cover it with some notes of caution by various interests. A degree of caution is warranted given previous claims by various Ark hunters. Randall Price of World of the Bible Ministries sent out an email to his regular readers which is now available online. Price has clarified his opinion now that the email has been more widely available. NAMI have responded to Price's email. My thoughts. 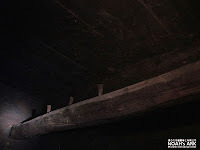 I am convinced that Noah built a large 3 levelled barge about 4,500 years ago. The Bible states that it landed in the mountains of Ararat. As to finding it now there are a multitude of issues. Where did it land? The general area of Ararat is very large. 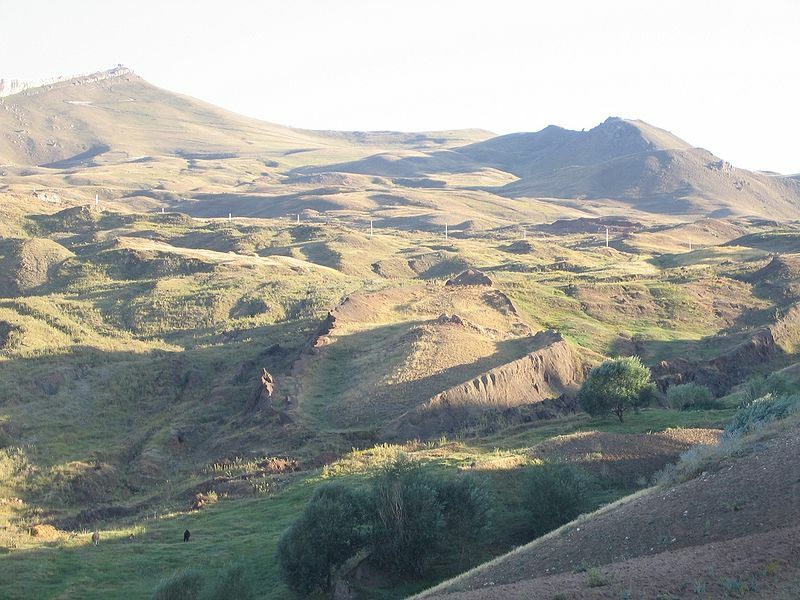 Also called Urartu it extends from Turkey into modern Iran and Iraq, and several locations have been proposed: Alborz mountains, Iran; Cudi Dagh (pdf) (near Cizre) in the Gordyene mountains, Turkey; Greater Mount Ararat, Turkey; and Lesser Mount Ararat. I currently favour Greater Mount Ararat as the landing place, the same site of the NAMI claims. Has the ark survived? 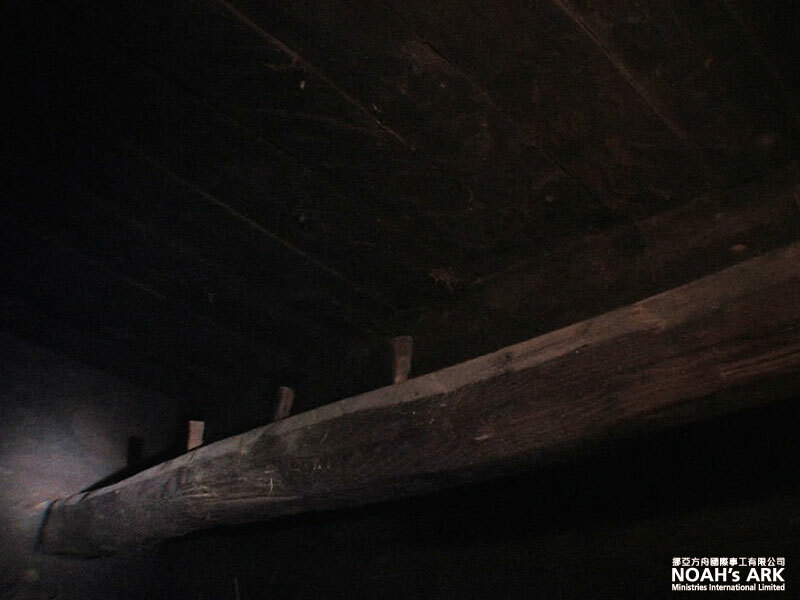 Was in used for wood in building houses and for fuel soon after the Flood? If not was it preserved from the elements? I am not certain how long the pitch would have protected the Ark. If it was located on Ararat it may have been surrounded in ice within a couple of centuries, especially by the time of the Ice-age. Whether it has remained encased in ice since then is not certain. Even so, the cold has likely preserved it somewhat, even if ice shifting may have caused structural damage. One of the concerns I have about the repeated claims is the scepticism that it breeds for a true discovery. People get so used to dismissing implausible or fraudulent claims that truth is ignored. People involved in Ark searches should maximise discussion with others in the field and confirm their findings rather than being so quick to publicise them. Two previous claims that I am dismissive of are the boat shaped formation on lesser Ararat as proposed by Ron Wyatt, and the rock formation at Mount Suleiman, Iran that was supposedly petrified wood. The boat shaped formation is a natural formation. It may be about the right size but is the wrong shape. Even one of the original promoters of this site changed his mind. 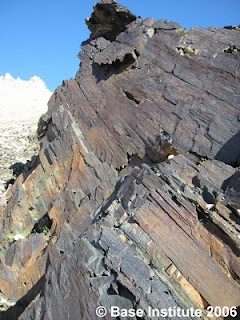 The rock formation in Iran discovered by Bob Cornuke from the BASE institute apparently contains some petrified wood, and fossilised marine animals are found nearby. Neither of which bear much relevance. Petrification needs a significant exposure to mineralised water. If this was the Ark it would be incompletely petrified (if at all) and hollow. This object is another natural formation. I favour the general location and the non-petrified wood. I am uncertain about the suggestion that it contains spider webs whether or not it should at that altitude. The thing that I am most suspicious of however is the carbon dating. I place the Ark landing about 2300 BC, nearly 4500 years ago. Though this is close enough to the date, for various reasons I would expect wood only 5000 years old to carbon date perhaps 10,000 to 20,000 years old, or possibly older. Thus the structure does not seem ancient enough to be Noah's Ark. The skeptic who believes that the Bible's human authors manufactured their God out of psychological need has not read the Scriptures carefully. That skeptic may have penetrated to the heart of New Age religion, but he or she has not understood the teaching of the Bible.